The 1917 Russian Revolution seemed epochal for most of the 20th century , before ending in tragi-farce in the Soviet collapse of 1991. Today’s youngsters cannot imagine how deeply the 1917 revolution captured the hearts of idealists across the globe. It promised to create an unselfish New Man, wedded to equality . And for decades, it looked like an economic success bound to beat all others.Capitalism was a mess during 191450, devastated by two World Wars and a Great Depression. Many thinkers, including historian A J P Taylor, thought capitalism was doomed. With fascism defeated, communism seemed the obvious alternative. Russia was economically backward in 1917. Bolshevik rule greatly accelerated industrial and economic growth between the two World Wars. It made the Soviet Union industrially strong enough to beat Adolf Hitler in World War 2, a phenomenal feat. Western economies began reviving in the 1950s. The Soviet Union, by then, had built nuclear weapons, and became the first to launch satellites, and then a man, into space. Soviet chief Nikita Khrushchev boasted that communism had proved so successful that its triumph was only a matter of time. No matter what the capitalist West did, he said, “We will bury you.“ He was not alone. Paul Samuelson’s Economics, the standard textbook in the 1950s, had a chart showing the Soviet Union starting with a low GDP but rising fast and eventually overtaking that of the US. The chart was removed only in the 1989 edition of the book! That shows for how long early communist GDP success cast a spell on all thinkers. US economist Robert Solow wrote an article arguing that even if the Soviet system was economically superior, it should be shunned for moral reasons. He could not see that the system was about to decline and fall. The Bolsheviks theorised that for success, they must greatly accelerate investment through Five-Year Plans, starving agriculture and investing the resultant surpluses in industry .This included killing millions of medium farmers, or kulaks. The original promise of land to the peasants was dumped in favour of State-owned collectives. Massive industrial investment helped the Soviet Union grow rapidly , and to militarily defeat Germany , the premier economic power in Europe. Why did this approach suddenly stall in the 1960s, and fail soon after? Between 1920 and 1960, the Soviet Union was massively shifting workers from agriculture into industry . Workerproductivity is inherently far higher in industry than farming, and so, the shift greatly improved Soviet productivity , and fuelled fast growth. Few noticed that Soviet productivity was far behind that of the West. Most expected the Soviet Union to catch up and go ahead, as it already had in nuclear weapons and space. But when the bulk of workers had been shifted from agriculture to industry , increasing productivity became crucial for future growth. And here, the Soviet command economy -where the government alone decided on all production, employment and in vestment -failed miserably. The So viet Union was world class in areas where price and competitiveness did not matter (space and weapons). But it could not produce the simplest con sumption goods as competitively as Western or rising Asian economies like South Korea and Singapore. Its fundamental flaw was that pri ces were fixed by ideological and ar bitrary planners, not by demand and supply . This led to chronic shortages and poor quality. Absent prices, Soviet planners could not work out how much of what to produce. Nobel-winning economist Friedrich Hayek had shown that a market system was like a giant com puter, automatically matching the de mands of millions of customers with thousands of actual and potential pro ducers, adjusting for substitutes and foreign trade, and coming up with prices that matched supply with dem and. The non-price, non-market mo dels of Soviet planners simply could not do this. Economist Wassily Leontief said, pithily, that statistical modelling mo ved “from more or less plausible but really arbitrary assumptions, to ele gantly demonstrated but irrelevant conclusions“. Besides, with the State fixing wag es and prices, unsackable managers and workers had no incentive to produce more or innovate. Equality meant the biggest slacker and hardest worker earned the same, a recipe for low productivity . Stagnant or falling productivity meant that higher investment simply did not translate into higher output, especially in agriculture. 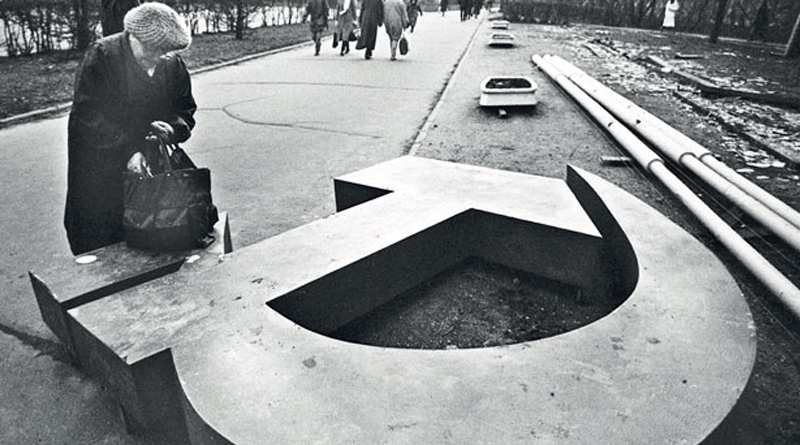 The Soviet Union became dependent on its Western foes for grain, meat and butter. This was compounded by the failure of mass coercion and killing to create an unselfish New Man. Hordes of young workers began escaping from egalitarian communist countries to the inegalitarian West for better economic opportunity . The Berlin Wall was erected to stop the flow, but could not. Many also fled from Mao Zedong’s China to Hong Kong, and from North Korea to South Korea. Nobody fled in the opposite direction. The supposed workers’ paradise was anything but. In the 1980s, Soviet premier MikhailGorbachev tried to break economic stagnation through political and economic liberalisation. China’s Deng Xiaoping preferred tight political control while going for market reforms. The result: Gorbachev fell, while Deng made China a tiger economy. Far from aiming for a New Man, Deng declared “to get rich is glorious“.That should be Lenin’s epitaph.